Jason McCloskey is a RISD graduate with twenty years of woodworking experience and a MFA in furniture design. His designs are born from the intersection of design and craft. Jason's career in woodworking began with traditional techniques, and later expanded to include modern technologies. An avid adventurer with deep ties to Outward Bound and one eye forever monitoring the snow report, Jason began making skis while living in Seattle. This practice, in turn, shifted his approach to furniture design. Jason's recent work often includes complex bent laminations—strong, elegant pieces that highlight the potential fluidity of wood. Jason also owns and operates flitch studios, a design and manufacturing house in Denver, CO specializing in the production of high end furniture and object designs. Drawing on myriad skills honed throughout a diverse career, Brooklyn-based lighting and furniture designer Elish Warlop seeks to explore the paradox of motion within stillness. This idea manifests itself in her creations, which on first glance appear simple and elegant, but on closer inspection reveal more complex construction meant to draw the viewer in. A licensed architect with a B.A. from Cornell University, Warlop garnered two AIA awards for Studio B Architects (a Colorado based architecture firm) where she began her career before moving on to construction management and her own company, EFW Construction. Looking to take the next step in her career trajectory she decided to pursue an MFA in furniture design at the Rhode Island School of Design in 2010. With this newfound knowledge she launched Elish Warlop Design Studio and set about merging creativity and design with construction and experimentation. As Warlop moves from research and sketches to model making and workable prototypes, new ideas and directions tend to emerge along the way. She finds great joy in this process and trusts it to guide her where she needs to go. 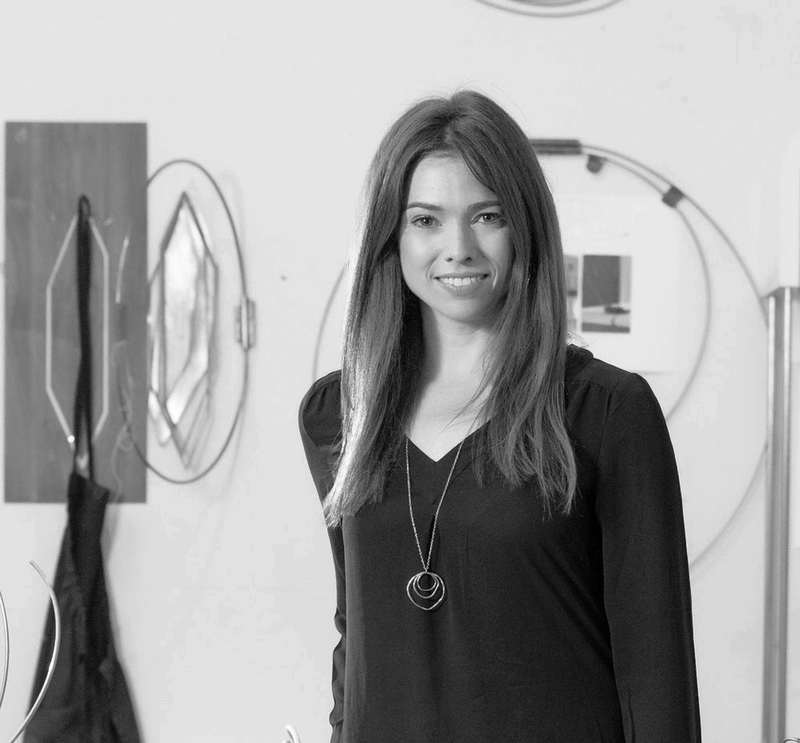 Laura is a designer/maker living in Denver and a recent graduate of the Rhode Island School of Design. She was initially drawn to furniture design because it occupies a unique position between the fields of fine art and design. Furniture can both exist as a product, addressing a specific need, or as a stand alone sculptural object. And in both cases, a user/viewer is necessary to complete the piece of furniture: whether to give it function by physically engaging with it or to give it meaning by imbuing it with their narrative and emotional response. Laura’s creative process is defined by a constant balancing act between her intentions as a designer and the will of the material. With each piece, she strives to create a spacially complex, cohesive object that appears to have formed organically without human intervention.